For a cougar, age ain't nothing but a number! 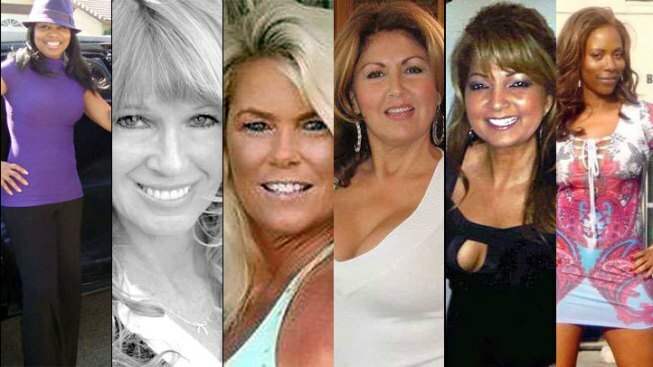 A handful of women will compete Friday for the title of Miss Cougar Del Mar. The contest first originated from the Cougar II Handicap run, known to be the longest distance stakes race of the summer. What does it take to be Miss Cougar Del Mar 2011? The rules are simple; participants must be mature women who pursue younger men about eight years her junior. “I’m an outgoing person. I’m easy to get along with and I feel I’m representative for being a Cougar,” said Rosa Hildebrandt, one of the finalists who talked about the contest Friday morning. She believes a Cougar is a woman 40 and above who dates men that are 35 and younger Hildebrandt said. “It’s the guys who are approaching us women, it’s not us women who are approaching them,” she said. “There are some who are 19, 20 years old that are just dying to go out with older women,” she explains. Southern California native Kimberly Marsh is also a finalist. She described that boyfriend, now 23, as an “old soul” who just happens to be 25 years her junior. Marsh said she grew up around the racetrack. “Racing is in my blood,” she said. Voting ends 5 p.m. Friday. The winner will be announced during the races Friday evening. The winner will not only earn the title but will also receive a “Day at Del Mar Package” valued at $500. Rosie Goldstein was the first to receive the title of Miss Cougar Del Mar in 2009.